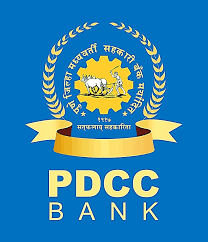 The Pune District Central Cooperative Bank Ltd., (Pdcc Bank) Pune, A Leading District Central Cooperative Bank in Maharashtra State, established in 1917. The Bank invites On-line applications from Indian Citizens preferably last 15 years Domicile in Pune District for appointment in the Post of DGM (Senior Management), AGM/Chief Officer (Middle Management), Senior/Junior Officer (Junior Management) & support staff in IT. Candidates / Individuals fulfilling prescribed eligibility criteria are requested to apply On-line through the Bank website http://www.pdccbank.com on or before the time frame indicated. B.E. in Computer Science / B.Tech. in Computer Science / B.E. in Electronics & Telecommunication / B.Tech. in Electronics & Telecommunication / B.E. in Information Technology / B.Tech. in Information Technology. MCA as a full time regular student / MCS as a full time regular student. M. Com as a full time regular student. Course of C-DAC / Course of NIIT/ Course of Seed respective course completion certification. B.E. in Computer Science / B.Tech. in Computer Science / B.E. in Electronics & Telecommunication / B.Tech. in Electronics & Telecommunication / B.E. in Information Technology / B.Tech. in Information Technology . BCA as a full time regular student / BCS as a full time regular student./ B.Sc Computer/ B.Sc Electronics. BCA as a full time regular students / BCS as a full time regular students. The applicants who are preparing for the Chief Officer, Senior/Junior Officer, Support Executive in Pune District Central Co-Operative Bank can check the important materials into this blog. You can refer Pune District Central Co-Operative Bank Chief Officer, Senior/Junior Officer, Support Executive exam syllabus and test pattern to your friends. The test pattern and syllabus varies from post to post. So follow Pune District Central Co-Operative Bank Chief Officer, Senior/Junior Officer, Support Executive post syllabus first. You can download previous paper form our blog and website free. We are providing some downloading links for Pune District Central Co-Operative Bank Chief Officer, Senior/Junior Officer, Support Executive model papers, old question paper and sample preparation question answer. All question papers are solved with answer. Why previous year question papers are important for preparation? Old and previous year question will help aspirants to give an idea about the examination and question pattern. From previous question examinee can get marks distribution as per syllabus. As all previous year question papers are solved examinee can check the answers after solved. Pune District Central Co-Operative Bank company Chief Officer, Senior/Junior Officer, Support Executive post written test examination coming soon. Aspirants need to prepare well for this examination. For preparation candidates need model questions for preparation. We prepare Chief Officer, Senior/Junior Officer, Support Executive model question paper for candidates preparation. Download all the model question set to practice and preparation. Download PDF model paper free. All sample question papers are prepared under experts and specialist. Sample questions are as per syllabus described in the advertisement. You can download PDF sample question paper. All sample questions are solved and with answers. You can check correct answers after practice. Chief Officer, Senior/Junior Officer, Support Executive sample paper will help you for your preparation before examination. Refer you friends for Chief Officer, Senior/Junior Officer, Support Executive sample question set.